I occasionally get Instagram DMs from friends & followers who have questions about how to better use Instagram, especially the Stories aspect. 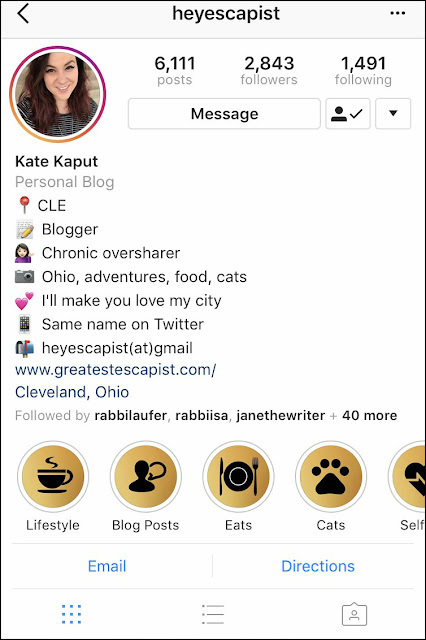 While I wouldn't say my Stories are anything special (look, I'm just being honest), I do know the ins & outs of how to use them, along with some other tricks of the platform - so I thought I'd share some quick-fix Insta solutions to the most commonly asked questions I've heard from friends. This isn't the sort of content I typically post, but... why not, right? I'm a jack of all trades, & this blog is a smorgasbord of content representative of that. Are you following me on Instagram? 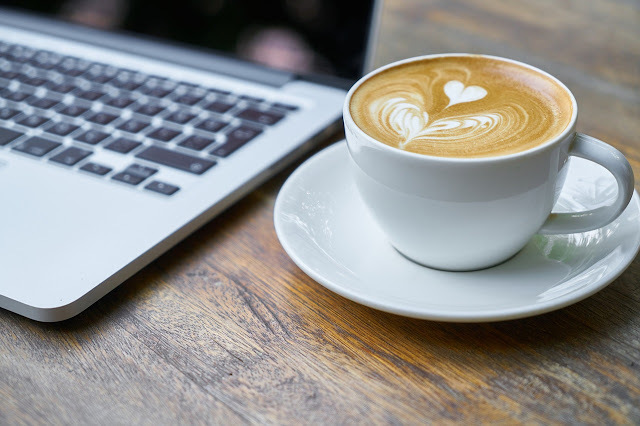 Connect with me there - & then show off your newfound skills! 1. "How do I see who voted in my poll - & how they voted?" 2. "How do I choose colors not listed in the Stories color palette?" First things first: A lot of people don't realize that there are four pages of color options! If you're looking for grays or tans, just swipe the color palette left & you'll find more options. Want colors beyond those available in the tiny circular palette? Say you want a light lavender. Pick the closest circular color option - in this case, purple- then hold down on it & wait for a broader color wheel-style palette will appear. Slide your finger across the palette to choose the color you'd like. You can also match the color of your text to a color within the image you're posting. Instead of touching a color from the circles in the palette, choose the white color dropper all the way to the left of the color options. 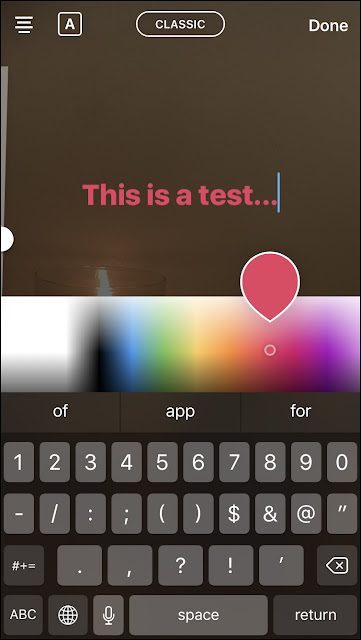 That'll bring up a color-picker option that will let you choose from the colors in your photo for a matchy-matchy vibe. 3. "How do I know if someone has blocked me?" OK, here's a big one: When someone has you blocked, you'll still be able to see & search for their profile - but there's an absolute tell to determine if they've blocked you. An account that has actually posted zero photos (you know, lurkers, like my mother) will show a black & white camera icon with the words "No posts yet." The profile of a person who has posted photos but simply doesn't want you to see them will show the same thing - but there's a dead giveaway at the top of their profile. 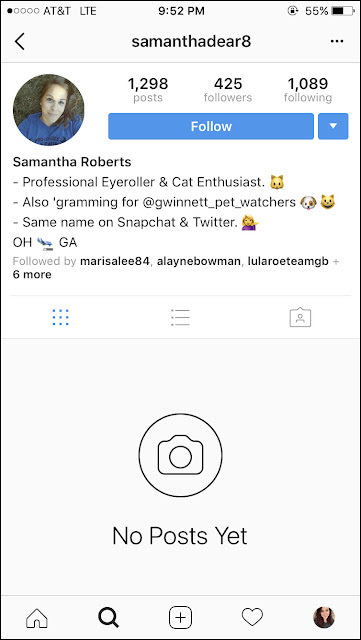 That top line of their profile shows how many photos they've posted, how many followers they have, & how many people they're following. If they've actually posted zero photos, the "posts" number will be 0. If they have you blocked, the post number will accurately reflect the number of posts they've made - but the account itself will still say "No posts yet." 4. "How do I make a colored background to write on?" This is so freaking easy, & I had no idea until a fellow blogger did a quick & easy Stories tutorial. 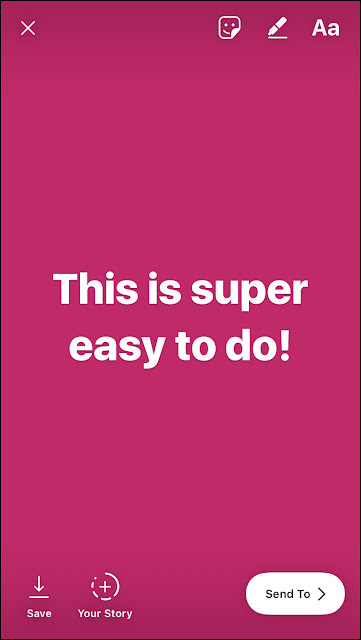 Instead of, say, taking pictures of your finger to try to create a solid-black background on which you can write text, try this instead. Take a picture - of anything at all, doesn't matter - then choose a color from the palette, whichever you want to set as the background. Hold your finger down on the screen, anywhere on the random photo you've taken... & voila, it'll change to a solid-colored full screen, a blank slate on which to write... or to add gifs! 5. 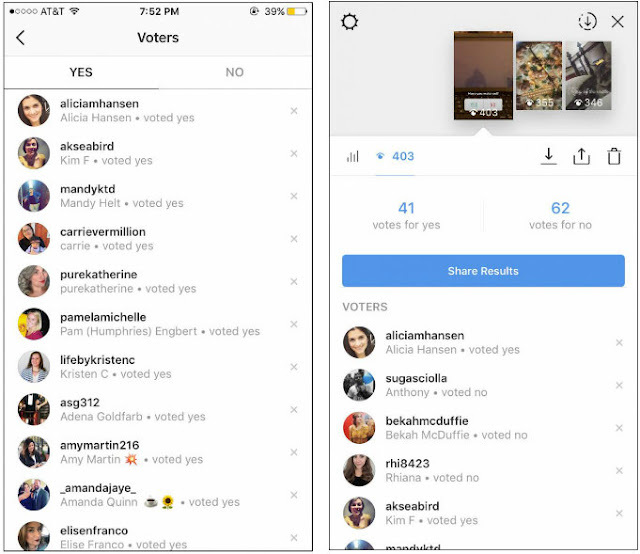 "How do I add covers to my Instagram Stories highlights?" I recently created title slides to separate my Instagram Stories highlights into categories. I got a lot of questions about where they came from & how to do it, so do you want to hear a secret? I bought them on Etsy. Yep, for $2.50, I purchased a pack of Stories-ready images with little black images representing categories like food, travel, & pets. I chose the seven of them most relevant to my life & one evening, added them to all to my Stories in quick succession (with a preface saying that people could ignore them because I was just formatting my account). Then, I went through & made each of those Stories images the cover of a highlight (which you can do my tapping the heart-shaped "highlight" button in the bottom right-hand corner & then following the easy steps Instagram provides). Now, when I post a Stories image that I want to add to a highlight, I just hit that same highlight button & choose which Stories category I want to add it to. If you don't want to buy an Etsy pack like I did but don't have any design skills of your own, you can easily create them yourself using a site like Ribbet or Canva, or an app like Rhonna or Typorama. Was this helpful to anyone? This was sort of fun for me to put together - so if you'd like to see more of this kind of content, going forward, let me know, & maybe I'll do something like it every other month or so.